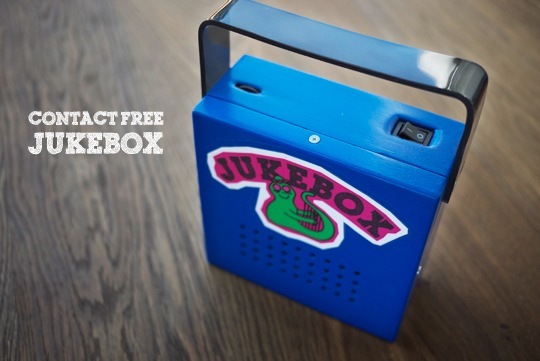 Contact-free jukebox – RFID, Arduino, WaveShield… « Adafruit Industries – Makers, hackers, artists, designers and engineers! 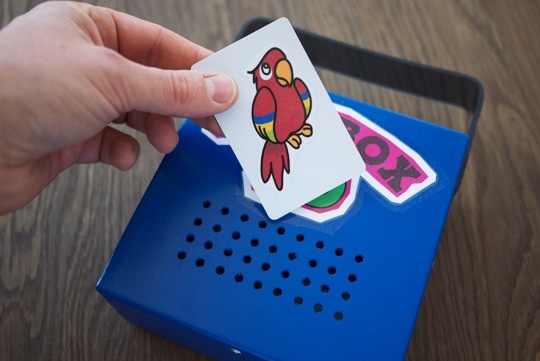 I built this RFID enabled jukebox with an Adafruit Waveshield for our daughter, Anna. I drew animals representing the audio tracks on RFID cards. Anna can pick an animal that she likes, wave it in the front of the jukebox and the song is being played.